Classy, brave and bold, this Mens Modern 14K Black and Rose Gold Blue Sapphire Skull Channel Cluster Wedding Ring R913-14KBRGBS showcases an absolute character and statement of style. Black rhodium coat on 14K rose gold will wear off in few weeks to few months, like any rhodium coat does, providing vintage look to your jewelry. 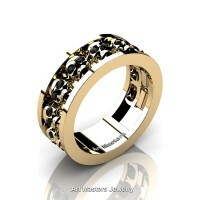 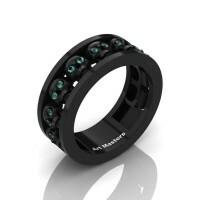 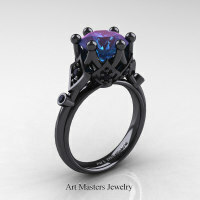 We provide two time complimentary black rhodium reapplication on all designer black gold jewelry free of charge. 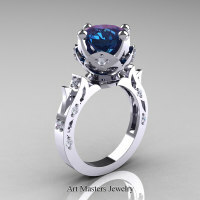 Be the first to review “Mens Modern 14K Black and Rose Gold Blue Sapphire Skull Channel Cluster Wedding Ring R913-14KBRGBS” Click here to cancel reply.